Prime yourself for optimal wellbeing and performance and you'll not only feel more awake and alive... you will thrive. Like you, mental strength coach and author Cara Bradley has seen the word motivation defined numerous ways over the years. Is it enthusiasm and excitement? Sticky notes with peppy sayings? Mumbo Jumbo with a splash of inspiration? Is it all about purpose and positivity? Is it meant only for the chosen few who always see the glass as half full? Or, is there a different story? With over three decades of high performance, speaking, and most importantly, real-life, in-the-trenches business experience, her view on motivation is radically different. Unlike many motivational speakers, Cara Bradley doesn’t talk about being engaged… she gets you engaged from head to toe. Drawing on 30+ years of body-mind training, Cara leads attendees into a first-hand experience of flow—an optimal state of full engagement where we feel and perform our best. Cara appreciates and shares, that being motivated is a moment-to-moment choice to live in flow by think clearly, becoming more agile and adjust accordingly,—a state available for everyone, everyday. Cara has been called a “Corporate Spark Plug” for her ability to energize a group, discover why flow ignites naturally enthusiasm, intrinsic motivation and full engagement.Known for her no-hype, New Yorker street-savvy style, Cara integrates real-life stories, action-oriented strategies and a conversational delivery to connect with her audience at a real-life, intimate and human level. Cara has served as host of the Embodiment @ Work Summit for Mindful Leader and co-director of the Flow Genome Project Coaching Certification. She partners with wearable and wellness brands including Muse and Happify and continues to work with the best and brightest in the ultimate human performance and leadership development fields. The author of the best selling, On The Verge: Wake up, Show up and Shine,and host of the weekly podcast, On The Verge, Cara’s energizing conversations and trainings have been shared with folks from around the globe. Companies such as Wells Fargo, Spectrum Enterprise, and The World Bank have partnered with Cara when they want to reboot motivation on their team and spark employee engagement and performance. Prior to her corporate efforts, Cara, started Verge Yoga in 2004, an award-winning yoga and meditation center, worked as the mental strength coach to over a dozen Division-I collegiate sports teams including Villanova University Football and Men’s Basketball for 15 years, and traveled worldwide as a professional skater for Team Rollerblade. 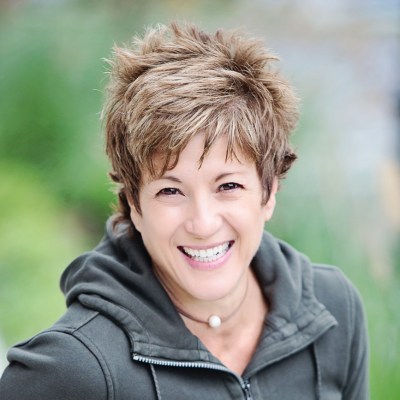 She serves on the board of advisors for Mindfulness Through Movement, a non-profit she helped launch. Cara graduated from the Stern School of Business at New York University. She is married to husband Brian for 28 years and is mom to two millennials, Christina and Julianna. When not on the road speaking or working remotely, Cara and Brian live in King of Prussia, Pennsylvania.